The Benrinnes 33 years odl 1984 Adelphi Limited is an older and sherried Speyside single malt bot.. 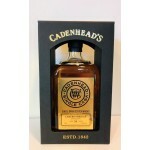 The Cadenhead Single Barrel Cameronbridge 34 years old 1984 is an older Lowlands single grain fro.. 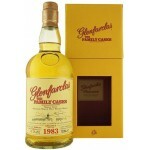 The Glenfarclas Family Casks 32 years old 1983 Release X is the tenth release from 1983 in the Gl.. 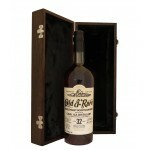 The Hunter Laing Old & Rare Caol Ila 32 years old 1984 is a an old and remarkable Islay singl.. The Isle of Jura 1984 is a 30 years old Islands single malt inspired by the book 1984 written by .. The Linkwood 26yo Special Release 1981 - 2008 Port Cask is part of the Diageo 2008 Special Releas.. The Linkwood 26yo Special Release 1981 - 2008 Rum Cask is part of the Diageo 2008 Special Release.. The Miltonduff 33 years old 1983 Adelphi Limited is an old Speyside single malt bottled by the in.. The Signatory Vintage 30th Anniversary North Port Brechin 36 years old 1981 is a special release .. This Teaninich 34 years old 1983 Adelphi Selection is an older Highlands single malt from the Tea.. 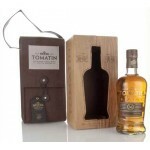 The Tomain 36 years old Batch 2 is the second release in this small batch series by Tomatin. It w.. The Xtra Old Particular Cameronbridge 32 years old 1984 is a Highlands single grain bottled in th.. 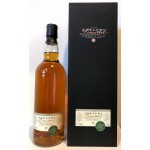 The Xtra Old Particular Port Ellen 32 years old 1982 is an Islay single malt from the closed Port.. 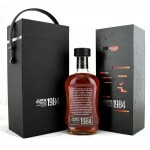 The Xtra Old Particular Port Ellen 33 years old 1982 is an old Islay single malt from the closed .. The Xtra Old Particular Teaninich 30 years old 1983 is a Highlands single malt bottled by the ind..